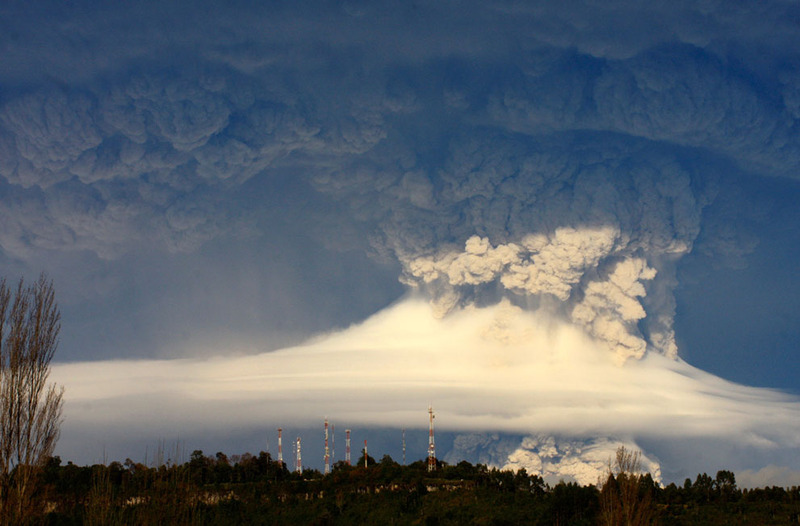 A cloud of ash billowing from Puyehue volcano near Osorno in southern Chile, 870 km south of Santiago, on June 5, 2011. 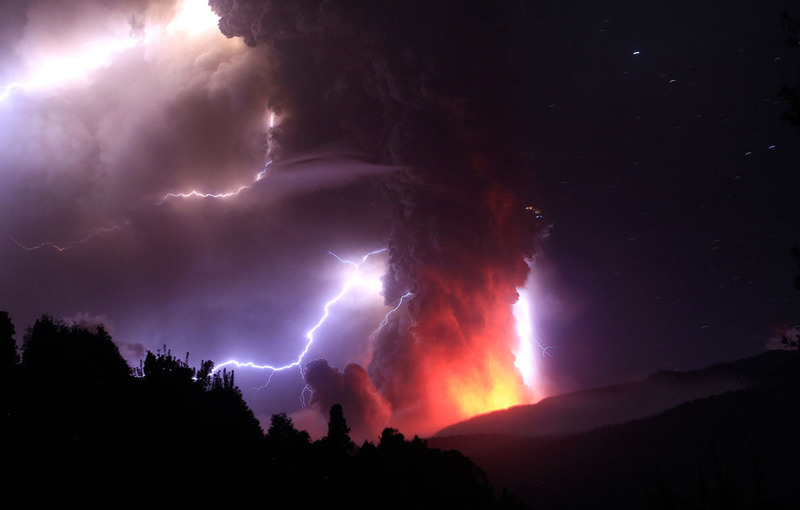 Puyehue volcano erupted for the first time in half a century on June 4, 2011, prompting evacuations as it sent up a cloud of ash that circled the globe. Out of an estimated 1,500 active volcanoes around the world, 50 or so erupt every year, spewing steam, ash, toxic gases, and lava. 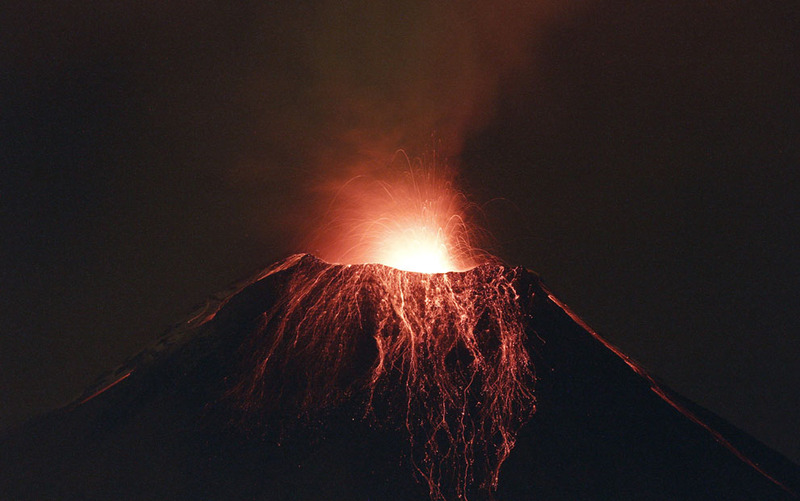 In 2011, active volcanoes included Chile’s Puyehue, Japan’s Shinmoedake, Indonesia’s Lokon, Iceland’s Grímsvötn, Italy’s Etna, and recently Nyamulagira in the Democratic Republic of Congo. In Hawaii, Kilauea continues to send lava flowing toward the sea, and the ocean floor has been erupting near the Canary Islands. 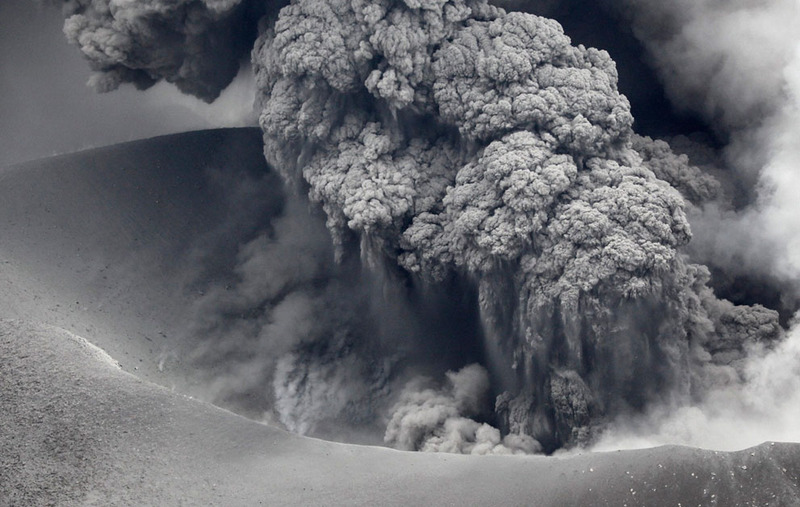 Collected below are scenes from the wide variety of volcanic activity on Earth over the past year. Shinmoedake peak erupts between Miyazaki and Kagoshima prefectures, in this aerial view seen on January 28, 2011. Ash and rocks fell across a wide swath of southern Japan straddling the prefectures of Miyazaki and Kagoshima, as one of Mount Kirishima's many calderas erupted, prompting authorities to raise alert levels and call on for an evacuation of all residents within a 2 km (1.2 miles) radius of the volcano. 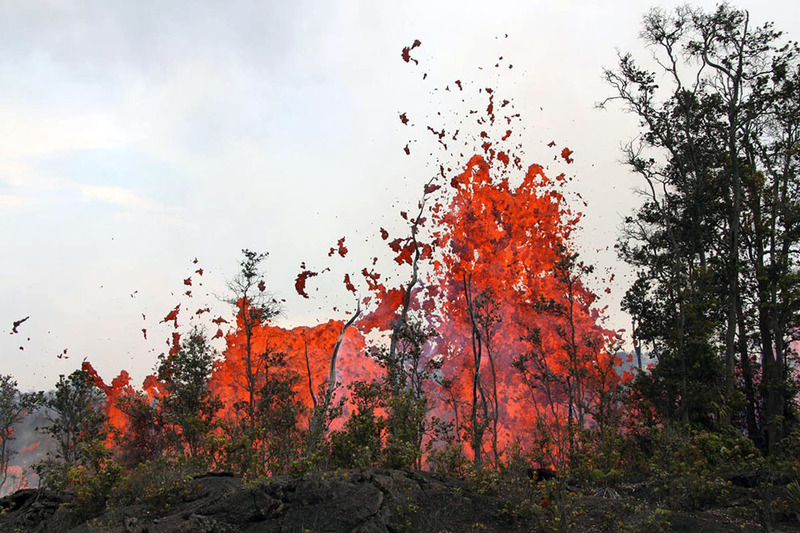 Lava spews into the air, higher than the treetops, near the Kamoamoa fissures between Napau Crater and the Pu`u `O `o crater on Kilauea Volcano in Hawaii, on March 7, 2011. Lava pours from from a fissure just after daybreak and cascades out of sight into a deep crack near the town of Volcano, Hawaii, on March 6, 2011. 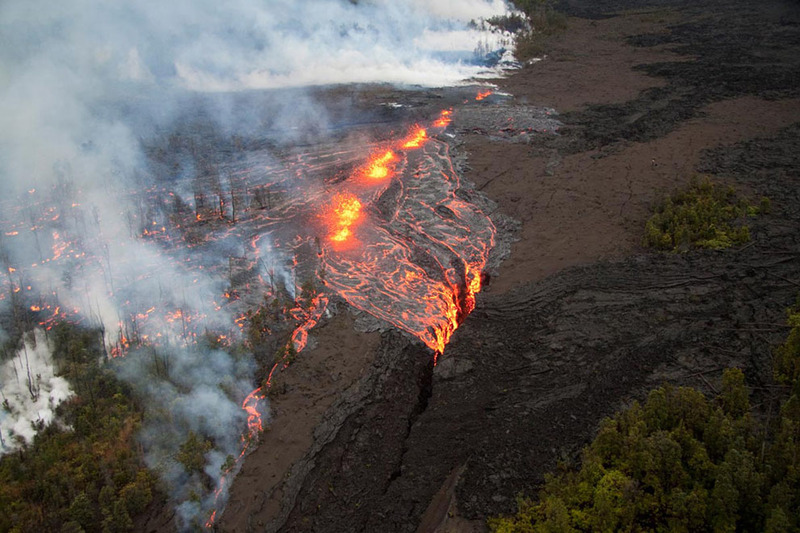 Scientists monitored a new vent that has opened at the Kilauea volcano, sending lava shooting up to 65 feet high. Lightning cuts through an ash cloud as Shinmoedake peak erupts, as seen from Takaharu Town Office, Miyazaki prefecture, Japan, on January 27, 2011. 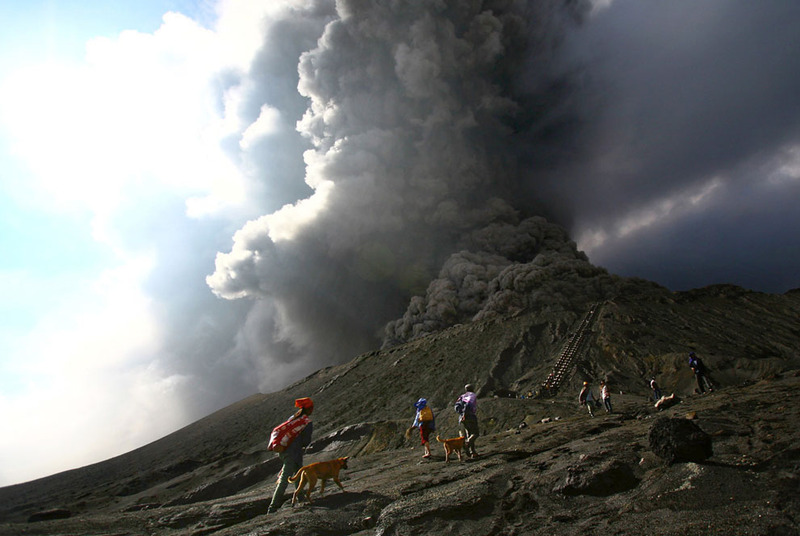 Indonesian worshipers descend from the crater of Mount Bromo in East Java province on January 28, 2011. The worshipers gave offerings to the god of the mountain, praying for the safety of local people. 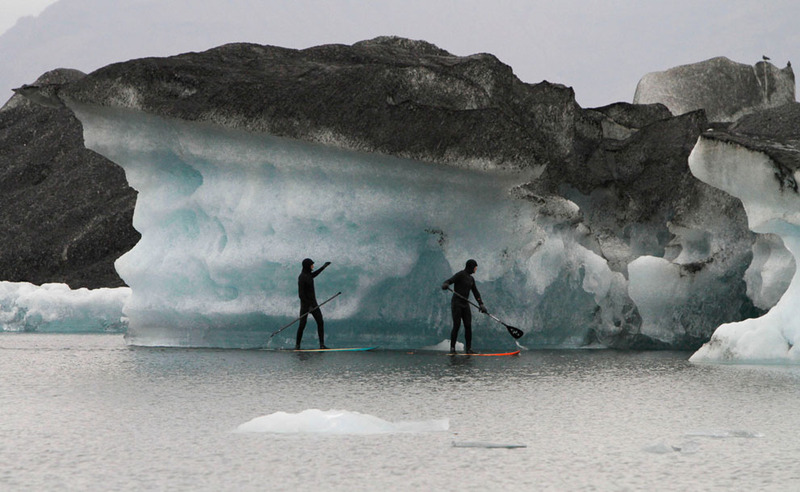 Surfers paddle past icebergs covered in ash from the Grímsvötn volcano eruption, in the glacier lagoon at the base of Vatnajokull, Iceland, May 26, 2011. 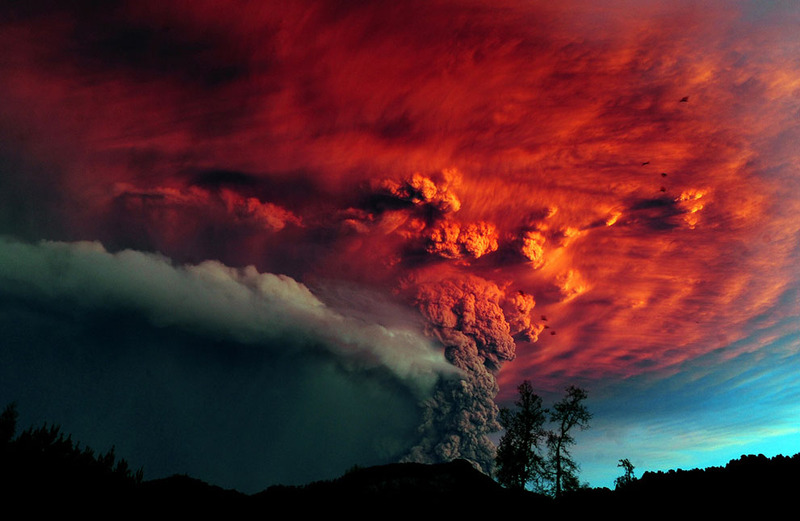 A view of the ash plume above the Puyehue-Cordon Caulle volcano chain near Entrelagos, on June 5, 2011. The volcano, dormant for decades, erupted in south-central Chile, belching ash over 6 miles (10 km) into the sky, as winds fanned it toward neighboring Argentina, and prompted the government to evacuate several thousand residents, authorities said. 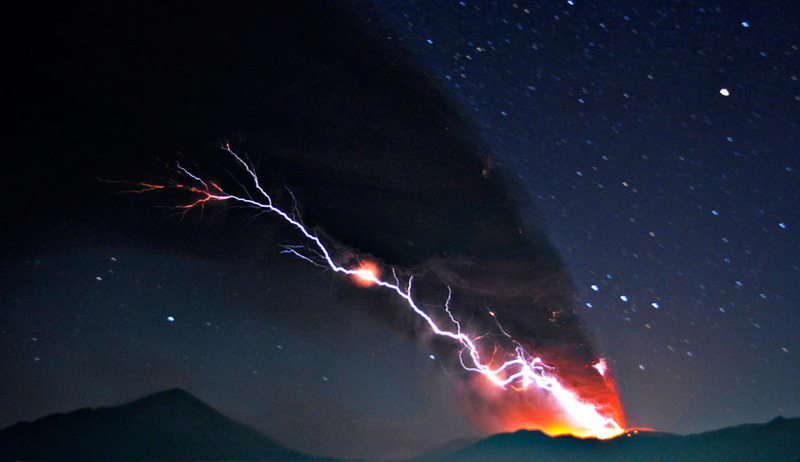 Lightning bolts strike around the Puyehue-Cordon Caulle volcanic chain near southern Osorno city, on June 5, 2011. 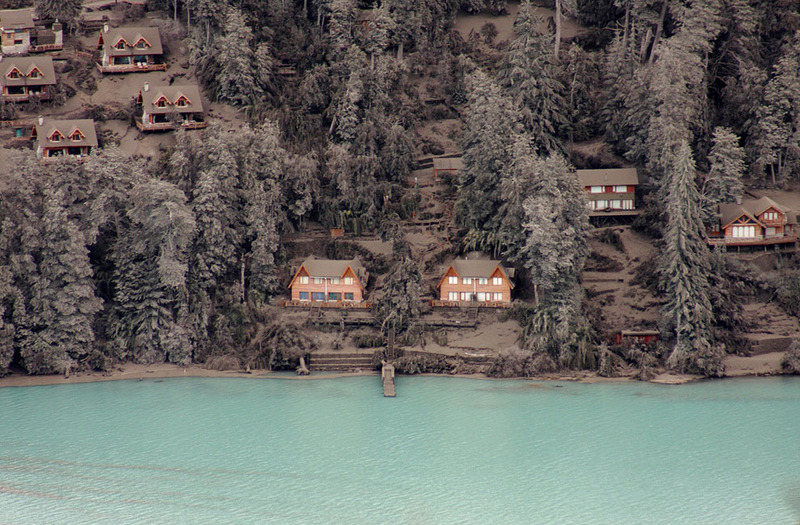 Houses and trees are covered by volcanic ash on the bank of Nahuel Huapi Lake in Villa La Angostura in southern Argentina, on June 19, 2011, after the nearby eruption of the Puyehue-Cordon Caulle volcanic chain. 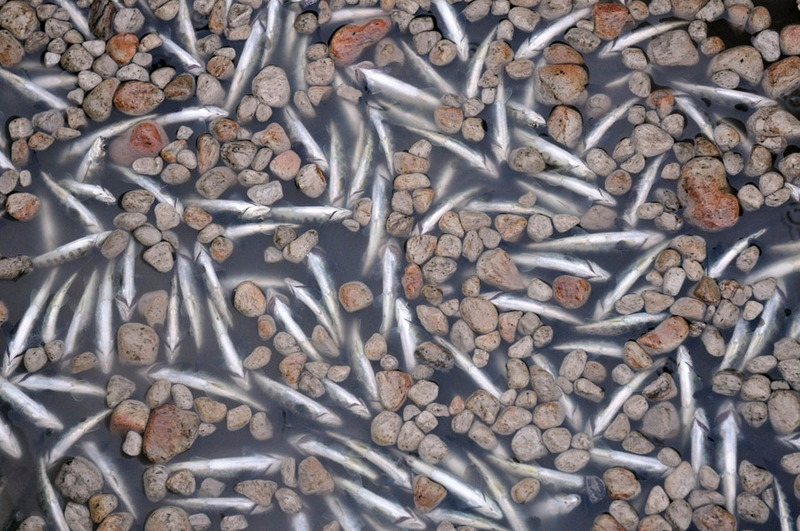 Dead fish float among debris and small chunks of pumice in the Nilahue river after the eruption of the Puyehue-Cordon Caulle volcano in Rininahue, southern Chile, on June 8, 2011. Mount Lokon spews hot lava and volcanic ash during an eruption in Tomohon in Indonesia's North Sulawesi province, on July 14, 2011. 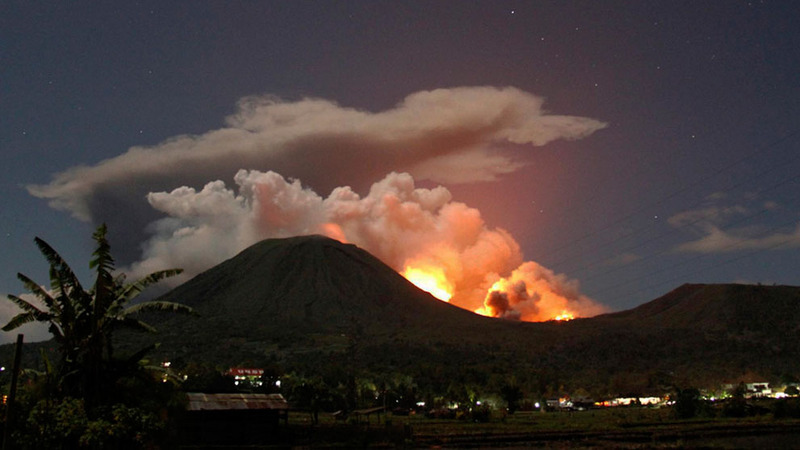 Mount Lokon sent an ash cloud as high as 1,500 meters (5,000 feet) in the north of Sulawesi island, prompting panicked residents to flee the agricultural area, a government official said. 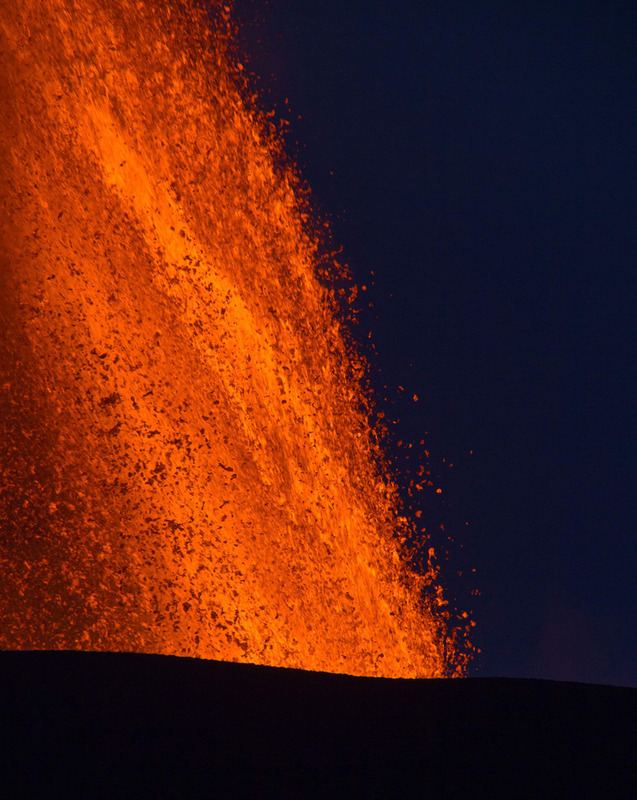 An eruption from Mount Nyamulagira in eastern Congo sends lava high into the air on November 11, 2011. 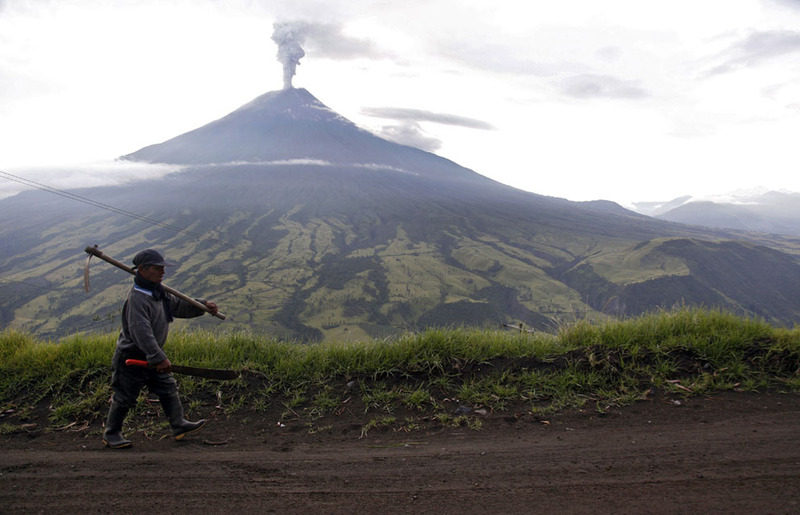 A man walks as the Tungurahua Volcano (background) spews ash, in Cotalo, Ecuador, on November 29, 2011. Ecuador's Tungurahua volcano spewed red-hot rock and ash as officials upgraded their eruption warning level to orange and some at-risk communities began evacuations. 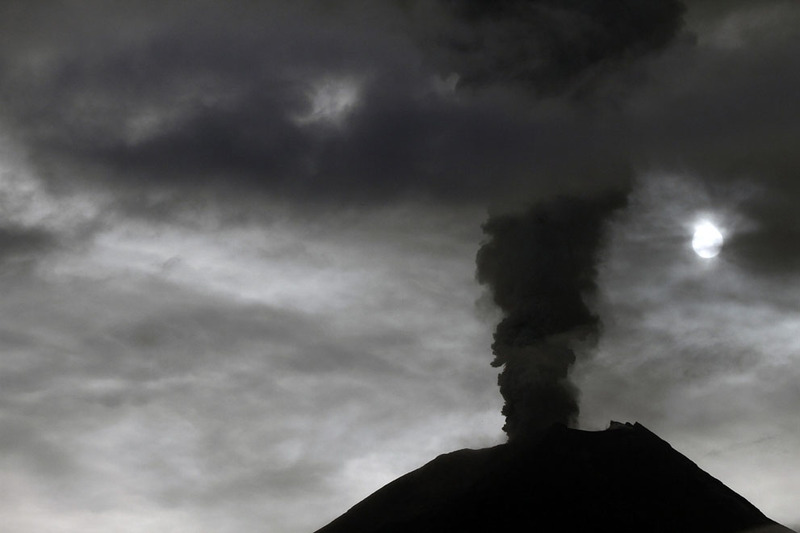 Tungurahua Volcano is seen from the town of Guadalupe, Ecuador, on November 28, 2011. View of the fumarole of Tungurahua volcano, from the town of Cotalo, Ecuador, on November 29, 2011. An amazing collection of volcano images! Thanks for sharing.